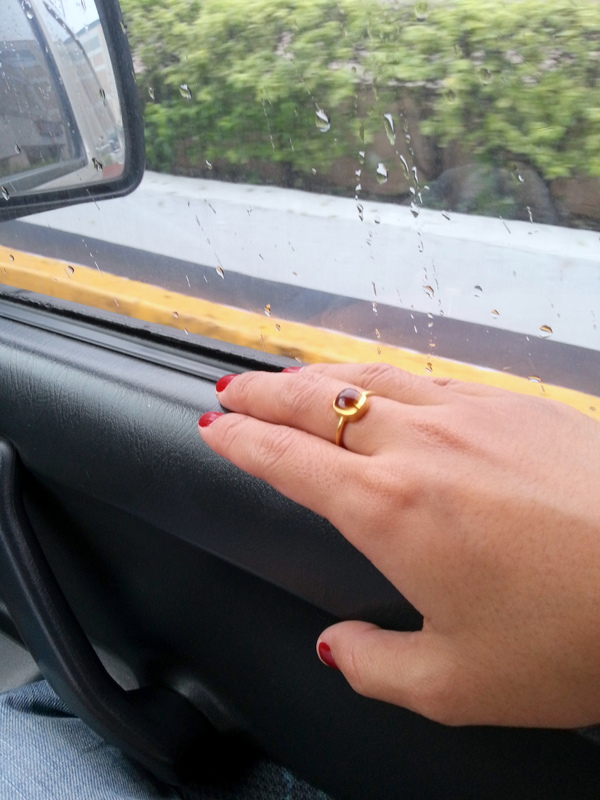 Growing up in a Catholic family, its already in my blood to be religious. How, you say? 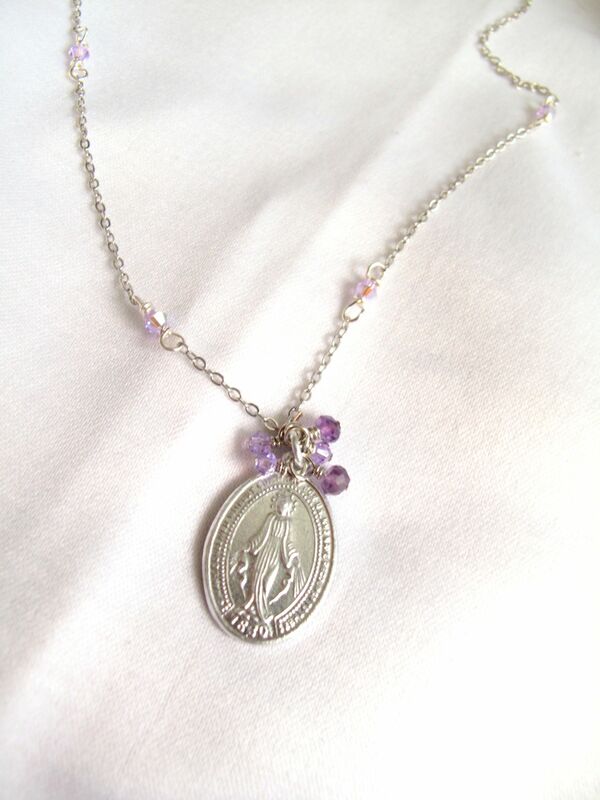 For as long as I remember, I used to wear a scapular every single day. I only stopped wearing it in law school when the string tore in two. 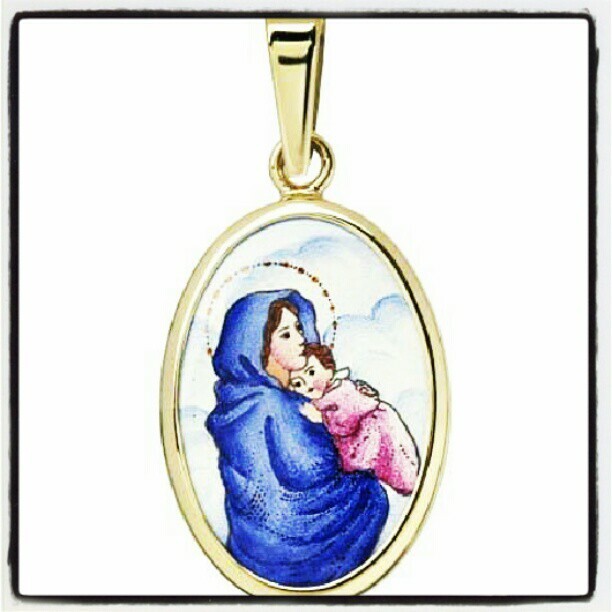 So I guess this does not come as a surprise to create something with a religious theme around it. 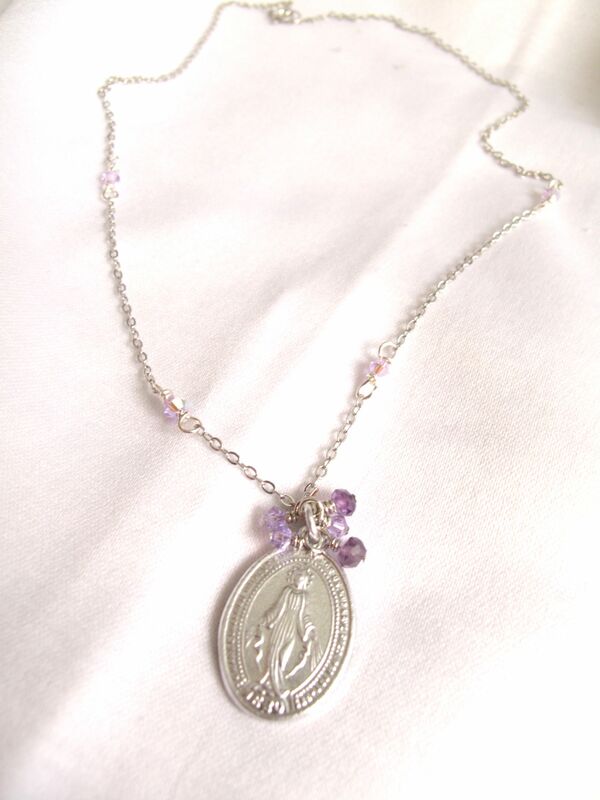 My first product: a sterling silver necklace with a stainless steel medallion adorned with purple and Alexandrite Swarovski bicone crystals. It turned out really okay cause after I wore it at several occasions (even to work) I suddenly received orders to make more. 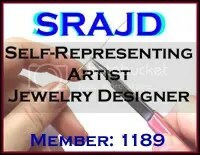 Contact me here or visit my shop here. I mentioned before that we will be launching a new collection soon. 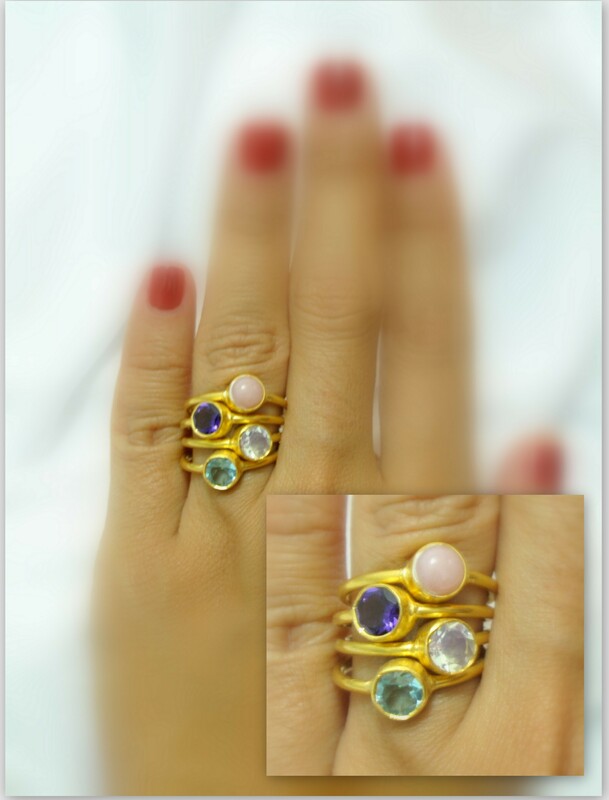 Beautiful and gorgeous rings made with semi-precious gemstones bezel set with the band and bezel made from sterling silver dipped in 24k solid gold. 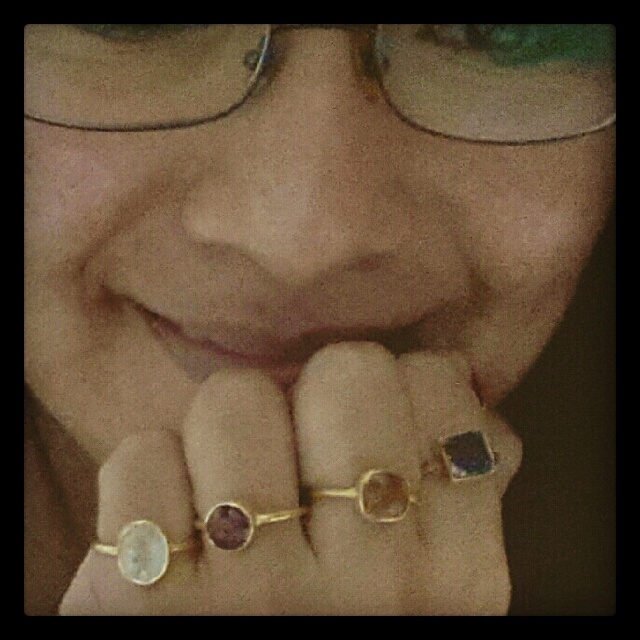 The gemstones came out so beautifully and I’m liking how the color of the band turned out. Most of the time silver dipped in gold usually turns out very yellowish gold. Something I don’t quite feel like having. But the color of this one turned out pretty pretty good. Or stack them up one by one to create a whole new look! Or check out our size 6 pieces in our shop here. 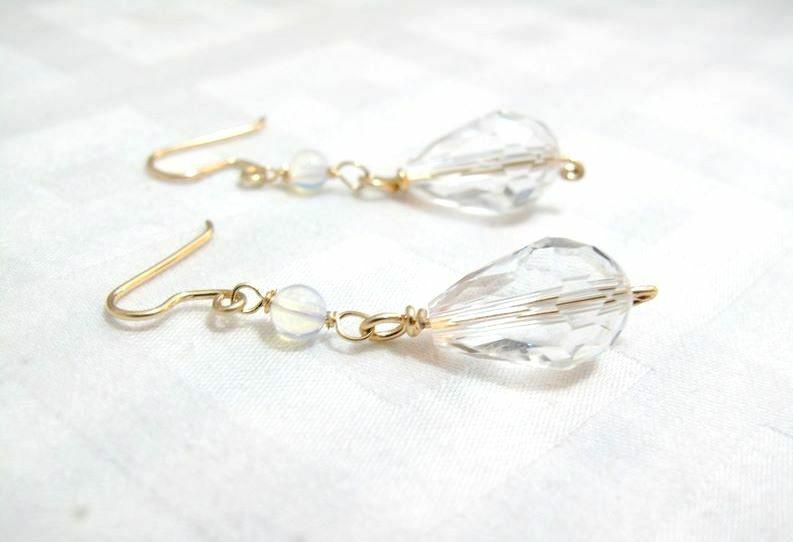 The request: versatile earrings with 4 gemstones. 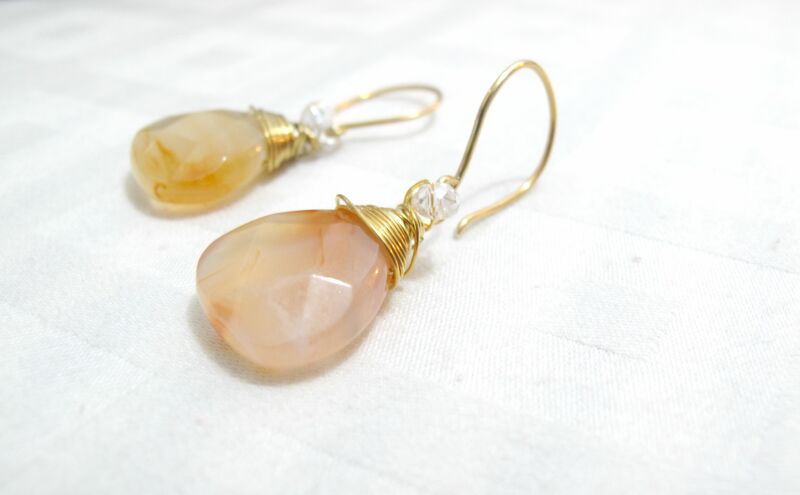 Use the endless hoop earrings similar to the Bohemian Embellishment earrings. 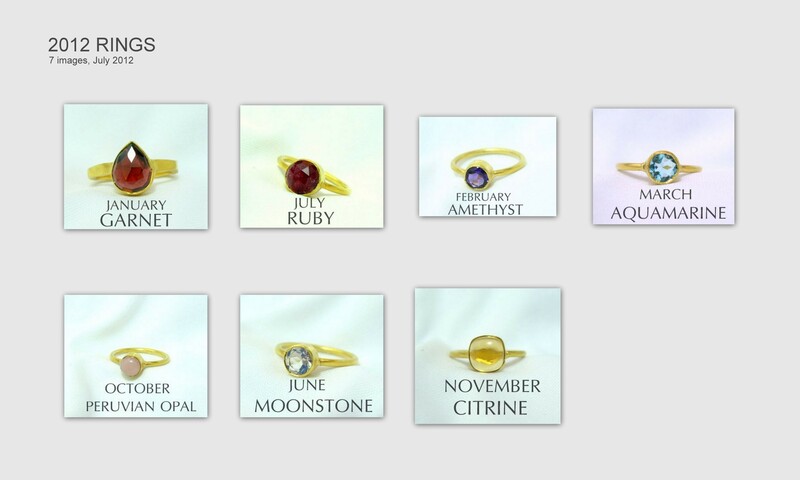 The process: I went through all the gemstone briolettes I had to present to the client. Making this involved approximately 4 meetings with constant revisions mostly to check and verify which stone colors suited each other. 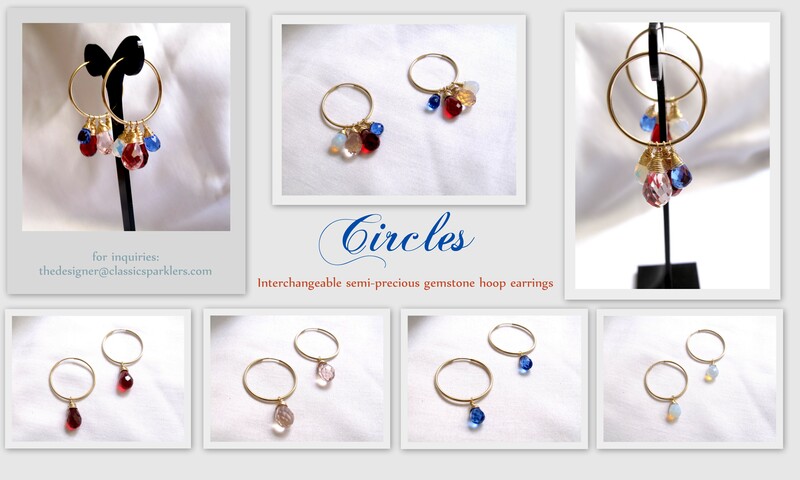 The materials: The client finally decided on ruby, sapphire, opalite, and rose quartz. All 14k rolled yellow gold. Great value for your money considering that this piece can be used to suit any occasion ……… and most importantly any outfit! As you all are aware of by now, gold prices have gone up. The price for these items are based on the old gold prices (read: very affordable). When my stock runs up, I have no choice but to increase the price of my new items as well. 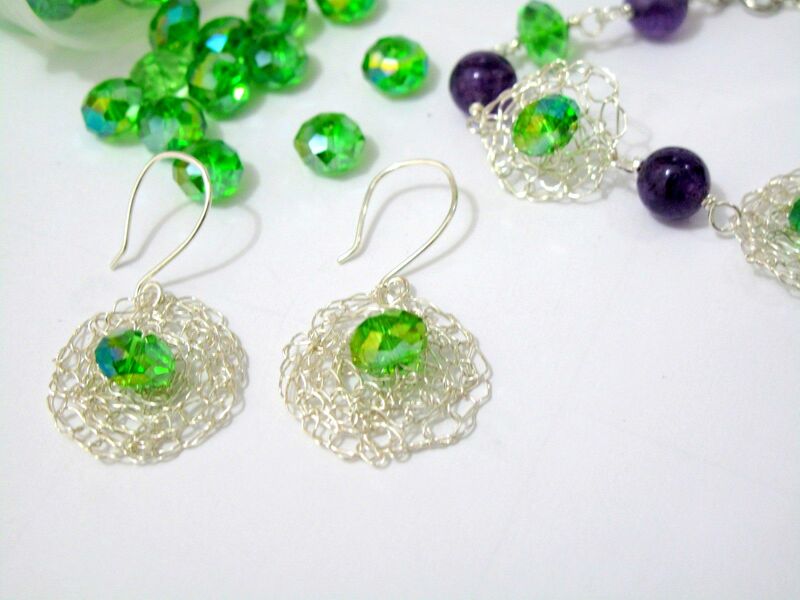 THE EARRINGS: Crocheted sterling silver wire formed into discs surrounded by green swarovski crystals with smooth amethyst rondelle in the middle. Size 1 inch in diameter. 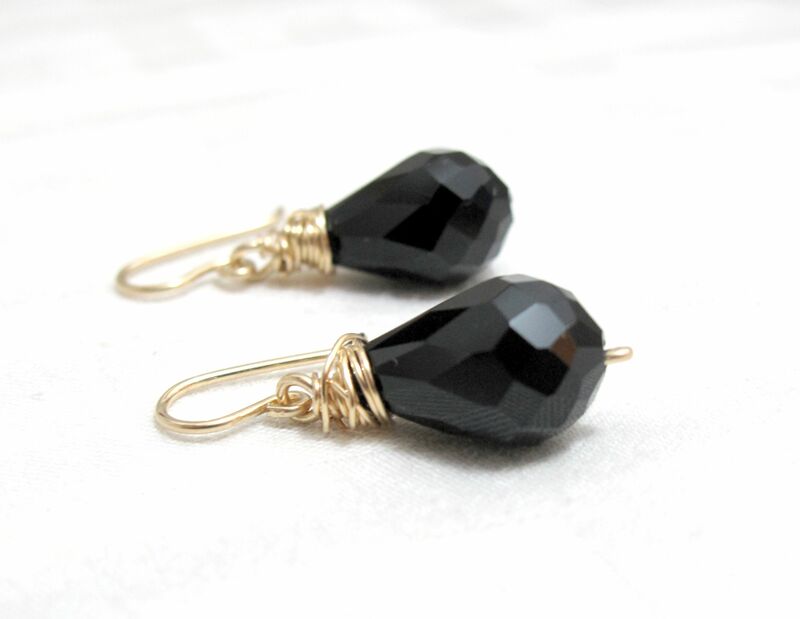 Dangler earring that is very elegant and organic earrings. Sturdy construction but very lightweight. 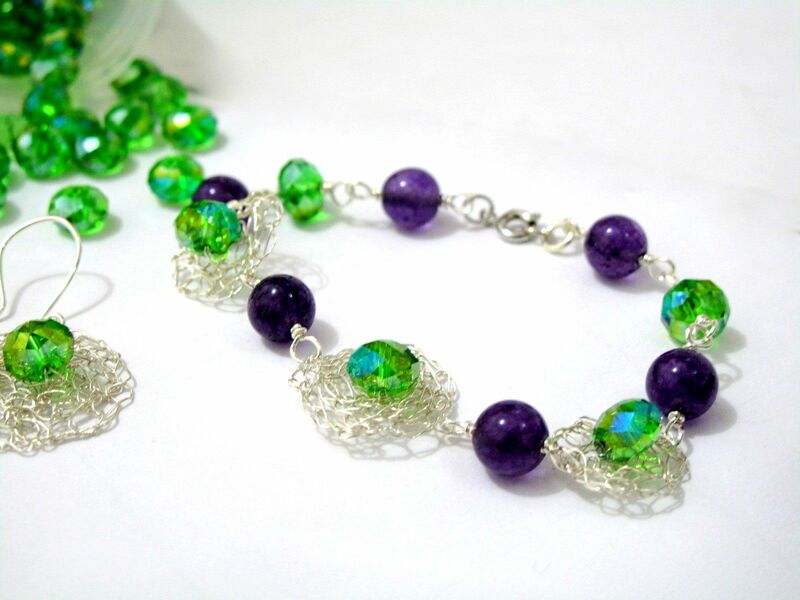 BRACELET: Austrian crystals wire wrapped with sterling silver wire. 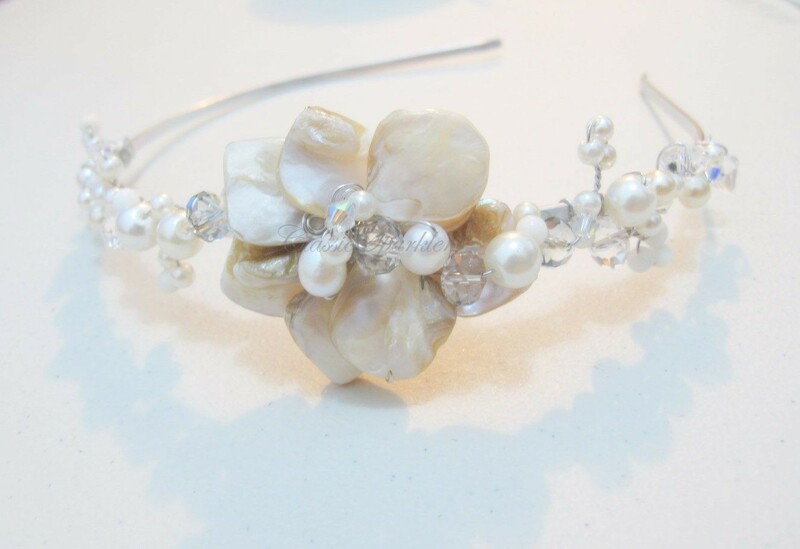 Ashlie loved the idea and request for a bridal headpiece. All she said was that she wanted it white and sparkly. 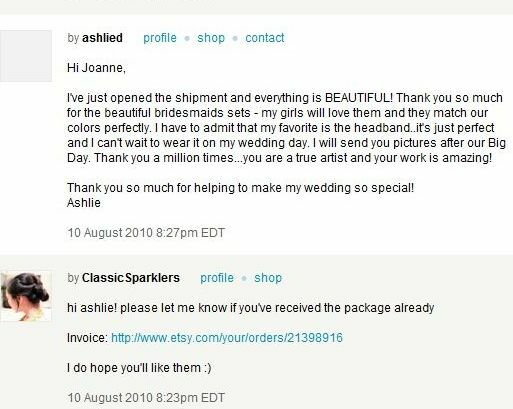 Ashlie received the package already!